Spencers Solicitors | Are you telling your GP half a story? Are you telling your GP half a story? Working in a complex injury team, I deal with enquiries daily from clients who have suffered due to a medical misdiagnosis (incorrect diagnosis of a condition) or because of a delayed diagnosis (diagnosis should have been given sooner). On first discussions with a client it can appear clear-cut that they've suffered a negligent act and have the right to claim. However quite often, and usually after reviewing medical records, it will transpire that the patient didn't actually detail all of their symptoms to their GP and so their GP hasn't actually had the opportunity to form the correct diagnosis. If a patient doesn't list all of their symptoms to their GP, how is a GP supposed to determine the correct diagnosis? While doctors have a vast array of skills, mind reading is unfortunately not amongst them! You may be suffering with a number of symptoms but feel they aren't all relevant when talking to your GP and so fail to mention them. For example, you might have a cough and are experiencing shortness of breath, but incidentally you also have shoulder pain. You will probably assume that it isn't related to your cough and so don't raise it with your GP, but did you know that shoulder pain can be a symptom of lung cancer? Your doctor will. You must remember to tell your GP about all the symptoms you are suffering with, whether you think they are significant or not. After all, you're going to see your GP for a reason - you don't know what is wrong with you, so how do you know if something is relevant or not? That is for your GP to decide. It is worth planning ahead when going to see your GP. Talking about your health is personal and can mean sharing details about how you feel. Sometimes it can be embarrassing and hard to remember everything that's affecting you. Therefore you should make a list of your symptoms, pain and feelings before you see your GP to make sure you to remember everything. Don't forget that symptoms can be psychological as well as physical. While it will be easy to make of list of the physical issues such as pain, lumps, bumps, rashes or trouble sleeping, you should also tell your GP about your feelings, for example if you feel sad, confused or down. It's also useful to list the medication you are on and any other current conditions. While the doctor should review all of your medical history, don’t leave it to chance. If you think it might help, you could take a relative or friend along to the appointment with you. Research by the NHS indicates that we tend to forget half of what we're told by a Doctor when we are stressed, so having someone else with you may be beneficial. They can also make sure that you tell the doctor everything that you intended to. This phrase is something I'm sure we've all heard of, but it's true. We shouldn't be afraid to be honest and try to avoid feeling embarrassed. 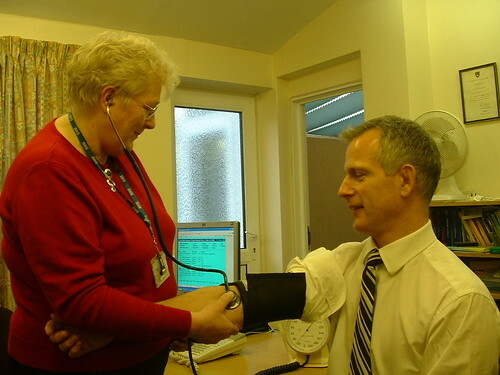 Your GP will encounter many, many patients every day with a whole variety of health problems. You won't be the first patient they'll have seen with your condition and you won't be the last. But with the same thought in mind, it's OK to remember that you haven't seen and heard it all before. So if your GP says something you do not understand, ask them to explain it to you again. If they refer you for further tests ask them what the test is for, what it will involve and how it's going to help you. Remember GP's will rely primarily on the information you give them to diagnose and provide treatment. They will rarely have the time to question you and attempt to extract every piece of information that may be relevant. An appointment with your GP is likely to be booked in for 10 minutes, make those 10 minutes count.